Rowing indoors is a preferred activity for many people because it gives you a full-body, low-intensity workout. Rowing helps you get an effective cardiovascular workout that improves physique, increases your stamina and overall fitness level. While there are a lot of weight-losing, muscle-toning rowing machines out there. Many just fall out of budget for some people. If you find yourself in the same situation. You might want to consider The Avari Easy Glide Rower to reach your fitness goals. The rower is no where near what a perfect rowing machine should be. Because it costs a fraction of what a high-end a machine would cost you. So please don’t make your expectations soar or compare it with high-end macunder #hines. With that out of the way. Let’s see if it is worth spending the couple hundred bucks or not. Usually, budget models incorporate hydraulic pistons as their resistance mechanisms. And the Avari Easy Glide is not an exception. It uses one piston to create resistance—which is located under its rail. Rowers that use more than one piston for resistance, can be inconvenient at times because both of them can have different resistance at the same time, depending on the oil temperature inside them. The Avari Easy Glide comes with a pretty basic display screen. The text is easy to read. And the workout data can be tuned in to scan mode. Which shows different workout metrics every 6 seconds. These include: calories burned, number of strokes and total time rowed. The rower offers a pretty good weight capacity for its price. It can support users up to 250 lbs. Furthermore, large footplates have been installed on this machine along with straps that can be adjusted to maximize comfort and avoid foot slips. Its space-efficient design enables its users to store it easily in closeted spaces after each workout. It’s quite apparent that the main attraction of this rower is its affordability. With just enough features the Avari Easy Glide rower has the ability to give you a full-body workout. Although, this thing is not suitable for users with bigger fitness ambitions. But a novice user just starting out with rowing machines would find this rower just enough to do the job. Many users have complained that the resistance when starting out is too strong. This happens because the fluid in the piston is not heated up in the beginning. But as you continue your workout the resistance drops to a fraction of what is was. You would have to stop rowing, get off the machine and turn the collar on the piston. Which hugely influences rowing experience. The rail on this rower is not long enough to support tall users. If you’re taller than 5″11 then you can have a hard time expanding your legs on the rower. Overall, the Avari Easy-Glide is a very efficient workout machine for people who don’t have high fitness goals, and fall within the height and weight limit. We recommend this machine for users who plan on rowing less than 30 mins a day and are on a tight budget. The Stamina Air Rower is a convenient and comfortable rower particularly designed to provide you with low- impact full body workouts in the comfort of your home. This rowing machine from the Stamina line of machines has some special features that make it stand out among rowers with similar price tags. Whenever you get into a workout session using the stamina rower, you immediately notice that every time you pull the handle of the rower a flywheel with fan blades spins and creates wind in the process. And if you were to increase your pace, more wind is generated, the impact of which is the creation of even more resistance. These kinds of resistance systems are utilized by many beginner level rowing machines. The benefit being, they save the distraction of adjusting resistance levels while a workout. With the presence of a computer monitor, the Stamina Air Rower enables the user to view things such as their speed, total distance covered, total calories burned and their work out time. With this feature, keeping track of your progress is a piece of cake. And you can solely focus on the workout rather than fretting about your progress manually. The upholstered seat is designed for comfort which enables users for longer-duration workouts. The seat is at 1 foot off of the ground providing enough height to get off/on the chair with ease. The textured hand grips take the comfort to another level. This is because they increase your stability and secure your grip as you row. In addition, the machine also comes with large footplates, adjustable and durable nylon foot straps that will accommodate all users in your home. The issue of storage is one that many people face when it comes to workout equipment. But not for this particular one. Structured with compact dimensions, the Stamina Air Rower can easily be folded up in seconds and stored in any room in your home. This is made possible by the foldable steel frames which are also quite sturdy, something that gives it a definite plus. When folded, the machine takes up a mere 48? x 18? x 28? (L x W x H). The rower also has built in wheels to ensure you are able to move the Stamina Air Rower around with ease to whichever destination in the home you might have in mind. Perhaps the concerning disadvantage of this machine is the fact that some users might find it noisier that other higher end rowing machines available in the market. Also, the monitor units that are displayed are not in metrics. The machine works well, but it can fail to deliver with extremely obese users. Since the max weight capacity advertised by the manufacturer is 250 lbs. The warranty package with this rower is not too encouraging. Especially when the brand is not really well-known. Stamina provides 3 years framework, 90 days parts and zero coverage on labor warranty. The Stamina Air Rower might not be the most feature-studded rower, but it is definitely something that does pure justice to the price. 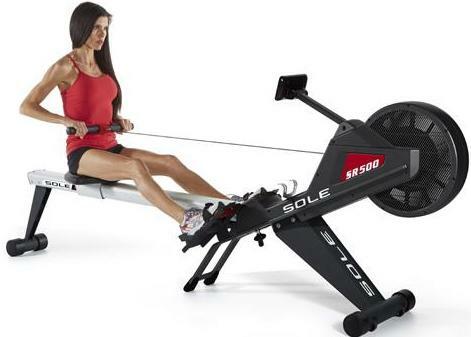 We recommend this rower to novice users under 250 lbs on a tight budget. Also, the rower is not recommended for people who live in flats for possible noise complaints. Manufactured by LifeSpan Fitness, the RW1000 Rower is one of the most popular low-range rowers for cardio training. The LifeSpan Rower provides a complete workout that strengthens and tones your arms, shoulders, back and legs. It has five varying levels of resistance that can be controlled by using the resistance knob. The Rower features an eddy current drive system that gives users a smooth motion and is quiet, so you won’t end up having to deal with a noisy rower. The kind of resistance used by this rower can be classified into electrical resistance. The LCD console on the rower provides feedback data on distance, time, calories and strokes. Since a battery powers the console it does not need an external electrical supply and is energy efficient. The LifeSpan Rower has a 14-inch foam seat which is very comfortable and can support a maximum of 300 pounds in weight. The seat slides back and forth smoothly as it sits on rollers. It is very easy to assemble the LifeSpan Rower and takes no more than 15 to 30 minutes to put together. The main unit, which contains the pulleys, already comes assembled, so you will only have to attach the seat and the bars. When not in use, the Rower can be folded by removing the locking pin, without requiring any tools to disassemble. The rower can be stored conveniently and is great for use where the floor space is limited. For a rower that is under $500, the Lifespan RW 1000 comes in with a pretty good warranty. The company stands behind their products with a 5 year structural framework, 2 years parts and 1 year labor warranty. The console does not have a backlight so if you are going to use the rower in a dark place, say your basement, it may be difficult for you to read the display. Also the bar on which the seat slides back and forth is not perfectly even. It is on a slight incline which can disturb your rowing motion. And may even lift the rowing system up (with harder pulls). Plastic wheels support the pull movement and the seat, which according to some users show signs of wearing out after prolonged use. 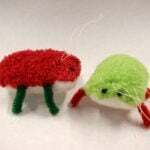 The pull chain is made of fabric so it is likely to wear down faster than other chain mechanisms would. Also, the footholds are comparatively smaller so if you have large feet you may have some trouble fitting in or find your feet coming undone while you are in the middle of your exercise. The LifeSpan Rower is good for a moderate cardio workout, but if you wish to try something more intense, the Rower can come as a disappointment, as it can lift off the ground a little or move. Overall, users of the LifeSpan RW1000 have reviewed it positively. For the price it sells at, the Rower provides an efficient workout, provided you keep your cardio training to a moderate level. 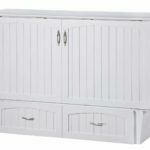 LifeSpan Rower is a good choice if you intend to use it in your home or an apartment where you don’t want to disturb the rest of your family with the noise that rowing machines tend to make. If you need to use the rowing machine anywhere up to three times a week, the LifeSpan Rower will give you good value for your money. The Concept2 Model D is world’s most popular and best-selling indoor rowing machine. Professional athletes across the world use Concept 2 Rowers to train for sporting events, including elite-level training for events like the Olympics. The Concept2 Model D Rower is available in two shades – black and light gray, and is manufactured in the USA for lifetime durability. 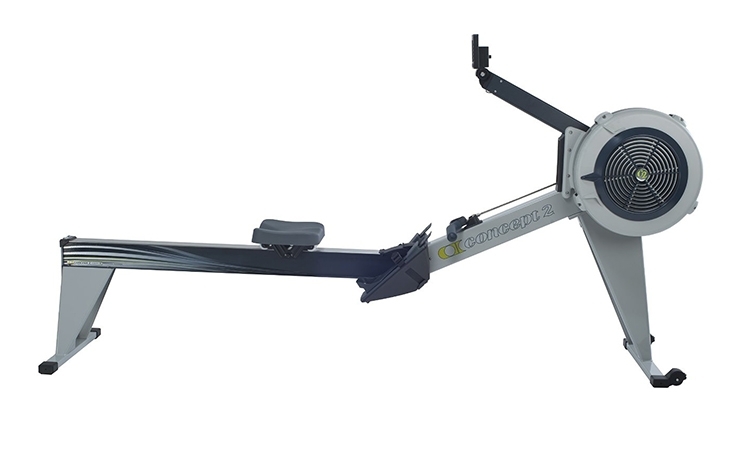 Concept2 Model D Rower has a nickel-plated chain, and the seat is 14-inch high. Flex footrests enable you to place your feet in positions with optimal traction and comfort. The machine also has an adjustable monitor arm. The Concept2 Model D Rower requires a space of 9 x 4 feet when assembled. Maximum user weight: 500 lb. fully focus on your workout by showing your workout progress. Every Model D Rower comes with a PM5 monitor. The monitor provides accurate data for every row you make, including data on distance, pace, calories burned and watts. The monitor is compatible with USB drives so you can store your information for later reference. With Bluetooth and ANT+ connectivity, PM5 can be paired wirelessly with compatible heart rate monitor. The Concept2 Model D Rower is designed so that the user is in complete control of the resistance and exertion all the time. The spiral damper adjusts the airflow to the flywheel so that the user can change the strokes as per his/her preference. The rower features a quick release frame mechanism that does not need any tools to dismantle the assembly. With the machine separated into two pieces, you can easily stow the rower away for next workout – . Every user has differing needs and to accommodate those needs, the Concept2 Model D Rower is fitted with adjustable footrests that can be quickly and easily resized, accommodating a range of shoe sizes. Also, an ergonomic handle comes with a 10-degree bend allowing the user to row using a natural hand position. The concept 2 model D uses air resistance in the rower. This resistance can be controlled by the damper which can be set from 1 to 10, where a greater number represents higher resistance. Rogue (manufacturer of Concept2) provides a 30-day-money-back warranty for its rowers. If within 30 days you were not satisfied with the product for any reason you can get your money back – excluding shipping charges. The rower is also backed up by a 5 year warranty for structural framework and a 2 years warranty for all parts. Concept2 doesn’t includes a built-in heart rate monitor. But it still can show you heart rate and other data with the help of external heart rate monitors. The reason we consider it a downside is because a few other brands include heart rate monitors at the same price range, like the sole sr500. The high performance of Concept2 Model D Rower has made it one of the best-selling rowers in the world for indoor usage. For those looking for a rower that has a proven record in durability, and delivers great value, the Concept2 Model D Rower is an ideal choice. While it has an ultra-smooth combination of air and magnetic resistance, it is able to support a smooth pull at an exceptional 16 challenge levels. This feature enables a quiet yet extremely intense workout with the force being dispensed along the major muscle areas and thus engaging your whole body. On the other hand, the magnetic force in the Sole SR 500 Rower is used in the higher resistance levels and allows the machine’s hum to keep at a minimum. The resistance can be quite easily adjusted in the machine’s handlebar. The importance of this feature being, you are able to make the adjustments you deem fit without having to slow down. With a 5.5” LCD monitor that is backlit for easier viewing, you will also be interested to know that the rower has inbuilt 12 exercise program modes. In addition, the Sole SR 500 Rower has a recovery feature that allows you to gauge the health of your heart after every workout session. This feature is made possible by the heart rate monitor which is made up of a chest strap and a wireless receiver for increased efficiency. The readouts of the display include total time, strokes per minute, speed, pulse, calories and total strokes. The designers of this fitness machine created it with everyone in the family in mind, as persons of different heights and weights (up to 515 lbs.) can comfortably fit into the extra-long frame. Even more they can adjust the pedals to fit themselves and their various heel angles. This fitness machine goes even further to provide a high sitting position, a feature that allows you to comfortably get on and off the machine with ease. Also worth mentioning is that the Sole SR 500 Rower has been designed in such a way that it can be used anywhere in your residence and comfortably folded away after use. Now this is a convenient feature given it offers you the freedom to move the machine to various rooms and locations, as many times as you want. As with all the products from this well-reputed brand. The Sole SR500 also comes with a really encouraging warranty. The company provides lifetime guarantee for structural framework 3 years for parts and electronics and 1 year labor warranty. If you are looking to buy a durable work out machine that will assist you work out the entire body and at the same time serve everyone in your family regardless of their weight and height, the Sole SR 500 Rower is most definitely a rowing machine you should invest in. With a great number of resistance levels. The machine is ideal for both low and high-intensity workouts. And features such as built in heart-rate monitoring and foldable design makes it something that we recommend you to invest in. The Nordictrack RW 200 Rower is not only affordable but also full with preset workout programs. It is created for novice rowers. It uses air resistance in training the entire body. It assists users to build up strength as well as get an effective cardiovascular workout . The RW200 uses its air resistance technology to fine tune its resistance according to the intensity of your pull. 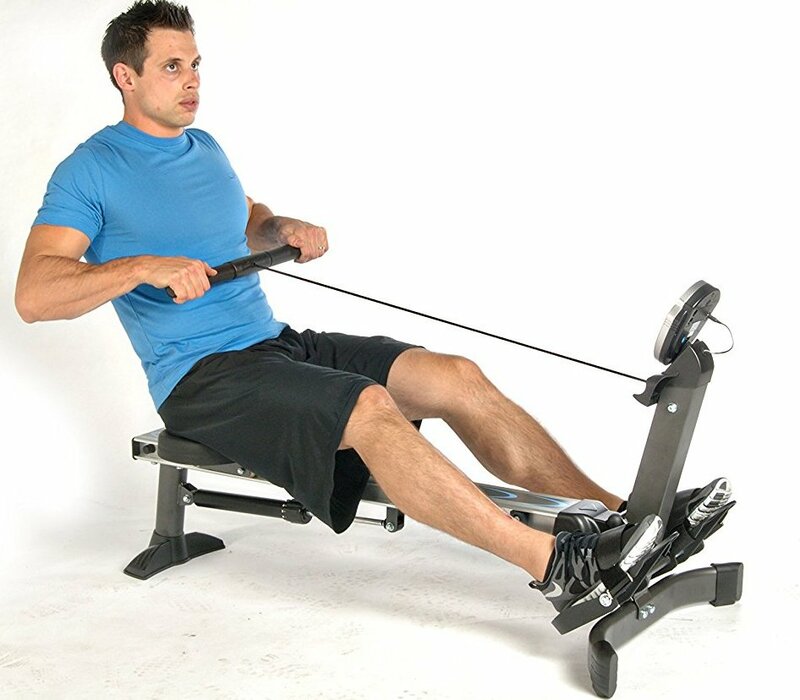 This excellent rowing machine comes with an exercise guide which has 20 preset workout plans. They are a merge of calorie-burn exercises and watts, which gives the user different levels of interval training. The Nordictrack RW 200 Rower has an information monitor which displays the productivity on a motivational watts meter together with the distance, elapsed time and additional stats. Besides, it is one of the few machine rowers with on-board entertainment. The user can connect a CD player or a mp3 player in the sound system of the Rower to help time fly when working out. The seat rail is broad and made of steel for better stability and smooth movement. There are no buttons or adjustable dumpers which enable you to adjust the air resistance. But the rower automatically senses any intensity changes in your rowing and adjusts the intensity accordingly. The more strength you put in, the higher the intensity. The in-built exercises created by a professional trainer assist the users to attain their fitness goals, all they have to do is pick between 10 watts and ten calorie exercising programs. Nordictrack claims they have designed the flywheel of RW200 for extremely smooth performance. The flywheel enhanced by the power of inertia provides more natural movement. You get to feel the difference in your first workout. The transport wheels which are mounted at the front helps move the Rower quickly. The ergonomically created handle aids in maintaining a firm grip and providing comfort during the workout program. A blue-tint screen which is very easy to read shows the watts, strokes for every minute, the sum of the strokes, distance and calories. A watts meter displays how the energy is being used during training. It has an ideal view for all users with the help of the adjustable console angle, regardless of the height one can clearly see the workout stats. The pedals can easily be rotated to find a comfortable position and to tone various muscles during the workout. The NordicTrack rower has a design that saves space, the machine can be folded vertically for storage. The caster wheels being in front for easy movement. The rower is designed for beginners, and even at its peak resistance the power won’t delight professionals or people who are looking for more vigorous workouts. The NordicTrack RW200 has a limited 5-year warranty for the frame while the parts and labor get a warranty of only one year. No sufficient customer reviews to show if the machine lasts for a longer time. The NordicTrack RW200 does’t supports the heaviest of users. Which might be a problem, because many use these machines to loose weight. The weight limit on this rower is 250 lbs. 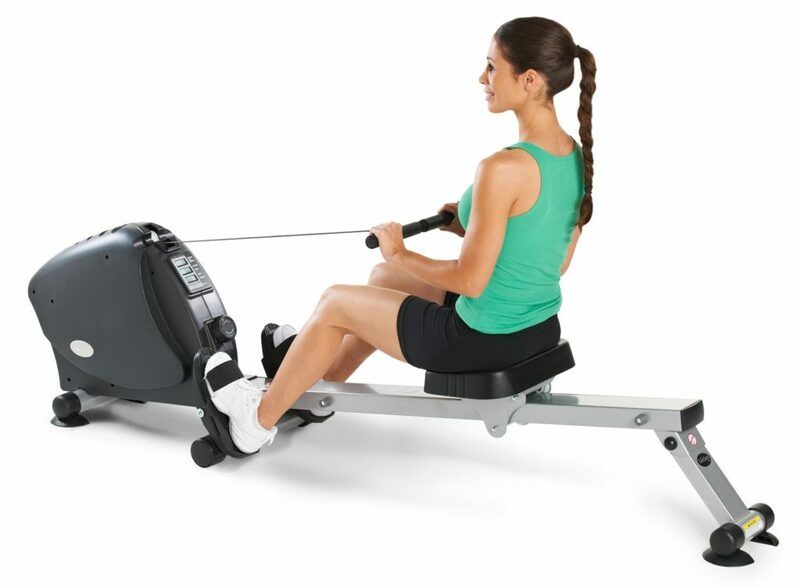 The NordicTrack RW200 Rower is made for novice rowers. It can assist users at different fitness levels to get low to mid intensity cardio sessions and build strength. Available at a pocket-friendly price, the RW200 Rower can be a satisfying machine if you weigh within the weight limit. 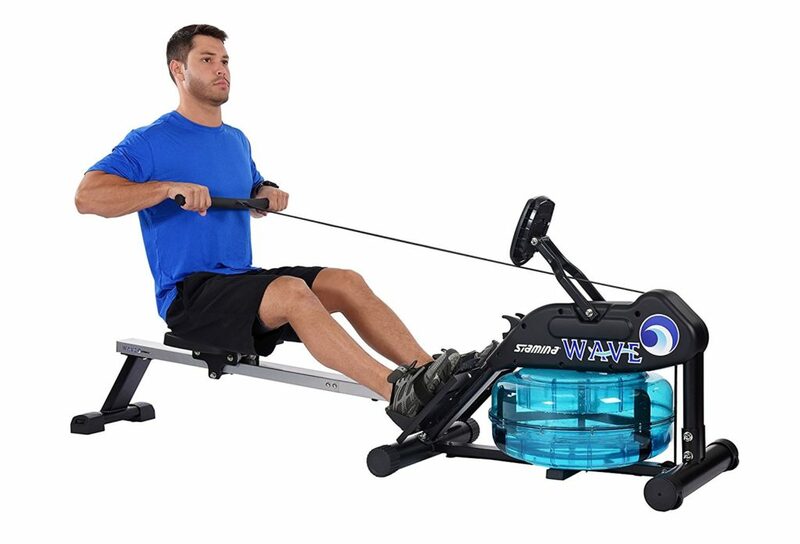 The Stamina Wave is a water rowing machine designed to maximize your fitness levels. A fly wheel that is spinning in the water tank provides the resistance needed to replicate real-life rowing experience. A real life rowing experience always constitutes of 3 things: The scenery, the workout and the sound of you rowing in the water. Now with an indoor rowing machine, the scenery might not be that great (unless you’re wearing VR glasses), but you can still have an awesome workout and the sound of rowing with the Stamina Elite Water Rower 1450. The water is also responsible for the resistance against the pull. Users will feel more resistance the harder they row. By adding more water in the tank, the work rate can be raised further. For this task, a siphon is included in the package. The tank comes with 10 marked water levels. The device is easy to assemble and comes with clear instructions. Thanks to a wide-padded seat, the rowing position is comfortable. The seat slides up and down the solid steel beam quietly and smoothly. The wide foot rests will fit your feet easily and provide a comfortable and smooth ride. The handle has a good diameter and is well-padded for easy grip. The Stamina Wave is easy to maintain. You will not need to oil the chain, as this comes with a tough nylon rowing strap. All you have to do is to simply drop a water purifier tablet in the tank once a month. 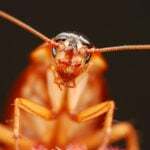 However, never use chlorine as a purifier, as this may damage the water tank. You also have to change the water once every four to six months. The water rowing machine comes with a monitor that displays all the usual data you may need. However, a large part of the little screen is occupied by a pointless graphic called “the travel distance indicator”. The display requires two AA batteries that are not included with the package. Users of the Stamina Wave water rowing machine can pre-set targets such as the time they want to exercise, distance they want to row, calories or stroke counts. A heart rate chest strap is also included with this model. The heart rate monitor displays your pulse on a screen. However, the device does not come with any heart rate programs. Designed to suit indoor-usage. Stamina Elite Water Rower 1450 has been made with a foldable design to save maximum space when not in use. The manufacturer’s warranty lasts way less when compared with other reputable brands in the industry. It only supports 3 years of framework and 90 days of labor warranty. There is no labor coverage. This rower comes with one of the smallest screens. While I understand, no one would want to watch a movie on a rowers display. But this can be really annoying when you are half way through your workout, and can’t read your progress on the screen. For a mid-range rower, the maximum weight capacity isn’t really up to the mark. It only supports 250 lbs of weight, and probably would not support every family member interested in rowing. 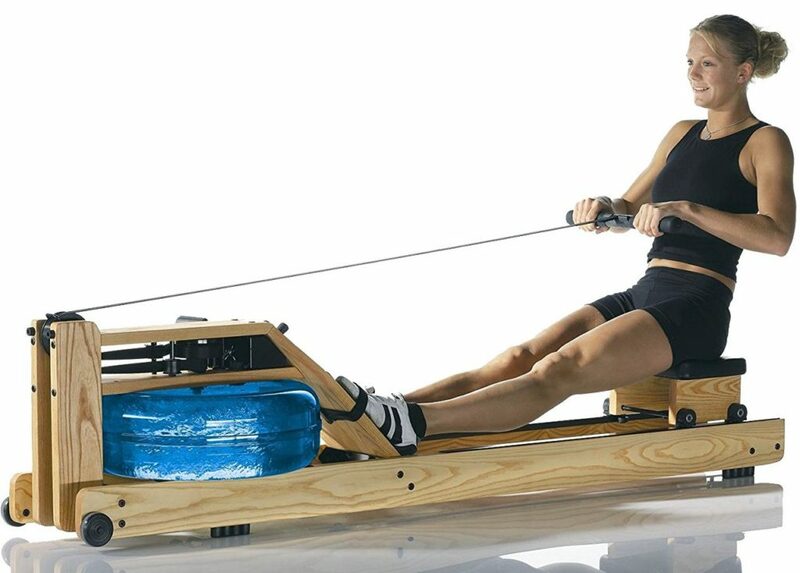 The Stamina Wave water rower is a well-built fitness machine. It is a great option for indoor-rowing at the price. The sound of water in this machine is soothing and can deliver a more realistic indoor-rowing experience. The warranty isn’t as good as it should be. But since the rower has not gained any negative reviews on quality. I would recommend this water rower if you weigh within the weight limit. The Water Rower Natural rowing machine with S4 monitor is yet another water rower. It is available for use by any category of rowers (from novice to the professionals). The machine is primarily designed for gym usage, but home users with adequate space can also benefit from this rower since it can be flipped vertically to save space. Is measures 84″ width x 21″ while in use. You might not be a fan of water rowers, but you can’t deny the fact that this machine is hard to defeat in aesthetics. The solid ash wood construction and stained honey oak color with the transparent water tank gives it the perfect natural look that spreads positive vibes. The Water rower Natural Rowing Machine has an LCD series S4 performance Monitor which can be connected to a personal computer for integration with 3rd party software. The monitor tracks stroke rate, heart rate, workout intensity, Calories burn and more. And a precise watts readout is provided when you input the volume of water in the tank. Its has an ergonomic seat with dual rail models guaranteeing stability, safety and a smooth operation during work out. Also it has a pretty good weight capacity of 300 lbs. Also, the Machine has a FlyWheel enclosed in a water tank which provides dynamic self-regulated resistance, allowing the user to comfortably choose the desired level of intensity they wish to workout upon. The resistance calibrates automatically with the intensity of rowing. Again, even with a price tag that high. The company does not provides built-in heart rate monitor in the rower. One possible problem that may arise with the WaterRower Natural is that its foot pads are too close to each other. So close that while rowing your legs can touch each other. A few people have reported that this results in a relatively uneasy grip and posture. You can see the leg position by closely looking at the image above. For people who would rather buy a water rower with adequate space between legs. We recommend the WaterRower GX because it doesn’t have this issue. The Water Rower Natural Rowing Machine is a durable product which is suitable for homes, and could likely work in light commercial settings too. The quality high end water resistance system gives one an overall felling of rowing a physical boats and its the best experience. Apart from the great worout, the machine has a user friendly computer system which is backed by a wonderful customer service. The WaterRower Gx machine comes with pretty much everything you would expect from a water rower. Besides the rowing capabilities, the WaterRower Gx comes with 2 DVDs both for Indoor-rowing and ShockWave training. Which are very helpful for users just starting out and learning effective workouts. 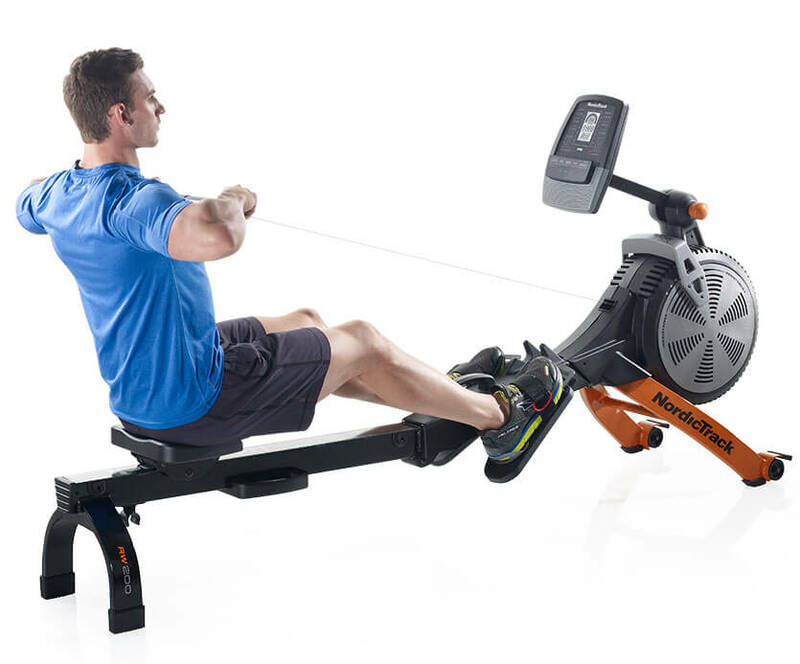 As the name implies, the rower comes with a Gx monitor. The monitor gives additional workout tips and feedback. The machine is especially designed to offer exercise to group exercise programs. But it must also be noted that the Gx series works well with traditional individual rowing workouts. The seat is comfortable and well-cushioned to provide a smooth rowing experience even with intensive and long workouts. The footrest in a WaterRower Gx is far much better situated than the WaterRower natural with S4 Monitor. The problem in it was the narrow space between the two footrests. Which creates quite an uncomfortable posture to row. Luckily, the two footrests in the WaterRower Gx are quite far apart and don’t have this issue. The machine uses a patented resistant system which simulates the physiological and physical experience actual outdoor boat rowing. The water flywheel’s resistance feels natural and stimulates all levels of skill with each stroke of rowing. . The resistance intensity can be altered either by pouring more water in the tank or rowing harder. And as with every water rower. The soothing sound of water is always a plus point. 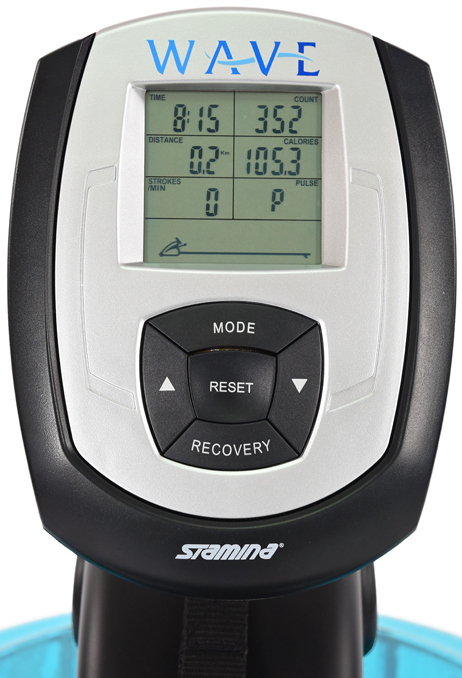 The Gx monitor is a simple console that displays stroke rate, distance, time elapsed, calories burned and speed. It has a ‘Quick start’ function that lets you set up distance and time for workouts. The console offers time trail and distance workouts. Though, you can only use them on separate records. The WaterRower Gx comes with DVDs that are loaded with popular programs, shockwave and Indo-Row that offers excellent training tools for you. These includes riding waves, racing and warming up workouts. The WaterRower Gx is made from high quality hard wood and aluminum rail. The ash wood is finished with Danish Oil which ensures that it last long. Just above the $1000 mark, this rower cannot be considered cheap. And it’s a shame that even at this price the manufacturer didn’t provide a built-in heart monitor. Furthermore, the Gx Monitor doesn’t even supports heart functions (so you can’t even pair an external heart rate monitor with it), interval programs and has no PC compatibility for data storage. Unlike most rowers in this list, the WaterRower Gx is not primarily designed to be used at homes. Hence, the design is not foldable. This doesn’t means that the machine can’t be used as a home rowing equipment. But please make the decision after reviewing the available space in your home. The footprint of this machine is: 83.5″ L and 22.25″ width. The rower is initially covered with a 1 year warranty which is extended to 3 year parts and 5 year frame (free of cost) once you register the product. The warranty duration is pretty decent. The only problem being that it only covers home usage, not gyms and fitness clubs. In conclusion, the WaterRower Gx is undoubtedly a great rowing machine that can help you reach your fitness goals (both big and small). If you’re into water rowers, then this is something you should consider deciding on your personal needs and requirements. Concept2 Model E is one of the best indoor rowing machine that is designed for an entire body workout. This workout machine has a 20 inch frame height, nickel-coated chain and a shiny finish double powder coat that makes it more durable. Moreover, the flywheel design of this rowing machine reduces noise and increases the smoothness of each stroke operation. The machine can also be seperated into two parts for easier storage, making it exceptionally portable. In addition to this, the PM5 performance monitor enables the rower to have a number of options. These options include games, online apps, pre-loaded workouts and the ability to convey the data to computers. This rowing machine is designed to suit individuals and professionals of any fitness level and age. Model E comes packed into two boxes. The space requirement for the assembled rowing machine is a dimensions of 8 ft x 2 ft, with 9 ft x 4 ft as the clearance space for use. The rowing machine requires a storage space of 27 inches x 47 inches x 54 inches because it can be separated into two parts. Concept2 Model D and E – What’s the Difference? Concept2 Model D and E are pretty much the same rowers n terms of specs and features. The only positive addition in the Model E is that it provides the tallest seat in the rowing industry (20″ to be exact). It might not sound like a revolutionary addition at first. But getting on and off of a 20″ seat takes way less effort than an average rower seat. For people suffering from arthritis or balance/mobility issues this can be a life savor. Also, the other big difference is in the price. You should expect to pay a couple hundred bucks more for the Model E.
1. A longer arm PM5 performance Monitor that is easy to reach. This monitor can wirelessly check your heart rate via external gadgets. 2. A flywheel that reduces noise and a damper that enables a quick airflow adjustment to the flywheel. The damper provides 10 settings to switch resistance to your fitness requirements. 3. A 20 inch height seat that makes it comfortable for you to get on and off the machine. 4. A nickel-plated chain that reduces the need for regular maintenance. The chain of this machine is also enclosed to ensure that it remains clean. 5. A quick-release frame-lock system that allows the machine to be easily separated for storage. 6. Ergonomic handles and convertible footrests that enables rowing in natural arm, hand and foot position. 7. A stainless-steel track aluminium monorail that allows a smooth drifting seat movement.7. A stainless-steel track 8. Flexfoot footrest is easily rotatable to get you he best foot grip with perfect convenience. 9. Caster wheels that enables the rower to be fully mobile. * Self-charging PM4 batteries that charge from rower action. Contrary to popular belief, rowing machines are not only built for off-season water rowers who need to practice at home, but can also be used to provide full body exercise to a common individual. In fact, you do not need any kind of real-life rowing experience to start using a rowing machine. The rowing industry is flooded with products. But not all live up to what they claim. If you are going to land the best rowing machine in the market, a careful review of the existing offers is inevitable. Fortunately, reliable machines have several hallmarking features to distinguish them from rest. Here are some of the things to evaluate before you buy one. Although this seems more like common sense, it is still very important. Rowing machines come in different sizes and shapes so you may need to consider the space you have back at home or in your gym. Most machines take as much space as a love seat, but the size varies both sides. Bigger machines may not fit perfectly in small spaces. So always check the foot print of a machine before buying. For smaller places, foldable rowing machines are the best option. Like other products, rowing machines come in different price ranges. 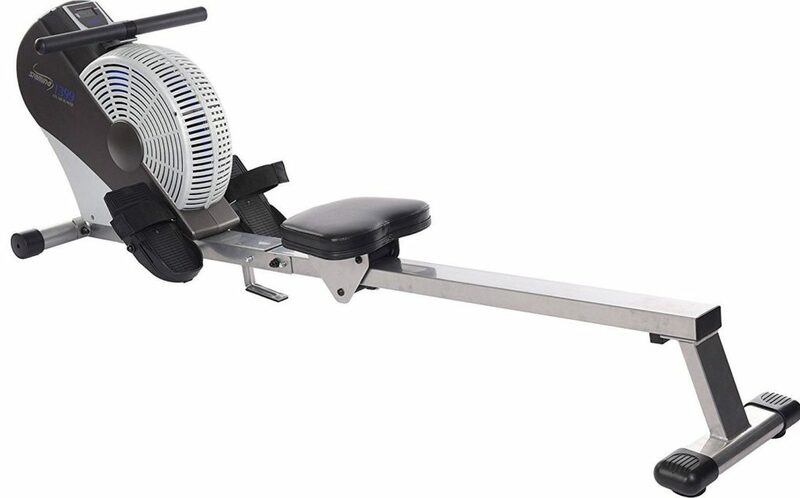 You can find a rowing machine for as low as under $200 while some cost over $1300. The important thing here is to identify your budget and understand the amount you’re willing to pay would directly effect what you’re getting as a rower. Rowing machines under $400 are considered low end, $400-$700 are midrange and models over $700 are high end. How will you use the machine? Do you plan to set up your rowing machine at home or gym? Machines designed for home workout and practice arrive with less assembly burden. 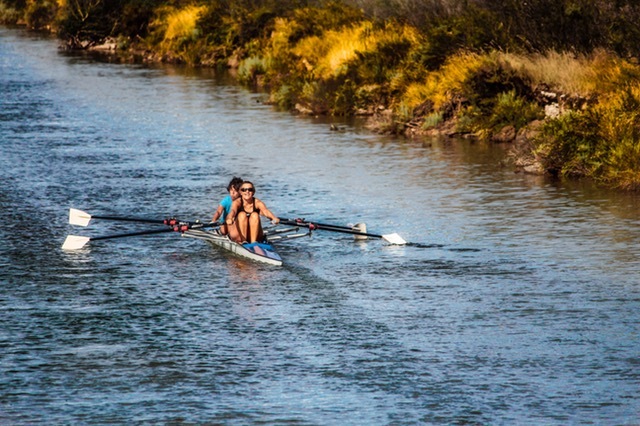 Are you a professional rower on off-season? Unlike common indoor-rowers, professional off-season rowers would need machines with great bit of resistance capabilities and different workout programs. 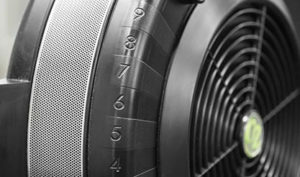 It is important to know the four types of rowing machine resistance available (air, water, magnetic and hydraulic piston) as well as their advantages and disadvantages. Air resistance machines are quite smooth, but the blades that cause the resistance tend to be noisy. Resistance is basically determined by rowing intensity so the more intense you row, the more resistance you get. Water resistance is more like air but offers more resistance and a better natural rowing experience (with the sound of water). Magnetic resistance models offer lower resistance than that of air and water machines, but the motion is quite smooth and quiet. Resistance is adjustable to your custom requirements. Hydraulic piston machines are the lowest-priced offers and have a quiet smooth motion with adjustable resistance. They are ideal for those who want to row at home as workout. Reviews can help you gauge if a particular model will meet your requirements. Top quality rowing machines that satisfactorily meet user requirements will tend to have a good reputation in the area. If there are more negative reviews, comments and testimonials, then it is only wise to avoid such models. Before buying a rower, consider who will be using it. Different users often have varying requirements. For instance, while short users will require a rower with a small seat rail, tall users will need a rower with a long seat rail. Others will require it even higher off the ground. Different users will also require varying extra features on the rowing machines. Most elite rowers will, for instance, require extras like heart rate monitors, data export facilities and varying built-in training programs. However, most users rarely require these features. The rower’s construction and comfort. Some seats on rowing machines can be very uncomfortable. Buy a machine with a comfortable and adjustable seat. For instance, when doing recumbent exercise cycles, the seat should provide a solid back support. The handlebars should also be adjustable and the frame should be sturdy. Look at the weight limits of a rower before buying because some rowing machines may not be suitable for big, muscular or overweight people. It is imperative to know your workout goals before you make the purchase. Some rowers will help you achieve certain fitness goals better than others. For instance, users who want to tone their muscles and make them bigger should consider using the hydraulic rower as it lets you choose varying resistance levels. Also, you will find rowing machines with preset training programs that can help you reach new fitness goals. Most rowers will often come with some warranty. It is advisable to choose models offering four-year or longer warranties. While this does not directly affect the rower’s performance, it gives you peace of mind knowing your machine is protected should something go wrong with it. Choose a quality rowing machine that offers value added services which include delivery and installation. Whether or not the rower is for commercial or home use, a quality brand should offer after-sales servicing and maintenance. There are several other minor aspects to evaluate before buying a rowing machine. Things like value for money, manufacturer reputation, quality guarantees and warranty, comfort and build material are all important. It is generally advisable to shop from credible licensed retailers that can guarantee original genuine quality from the manufacturer. This way, you can be sure to land a comfortable rowing machine that is safe and easy to use.